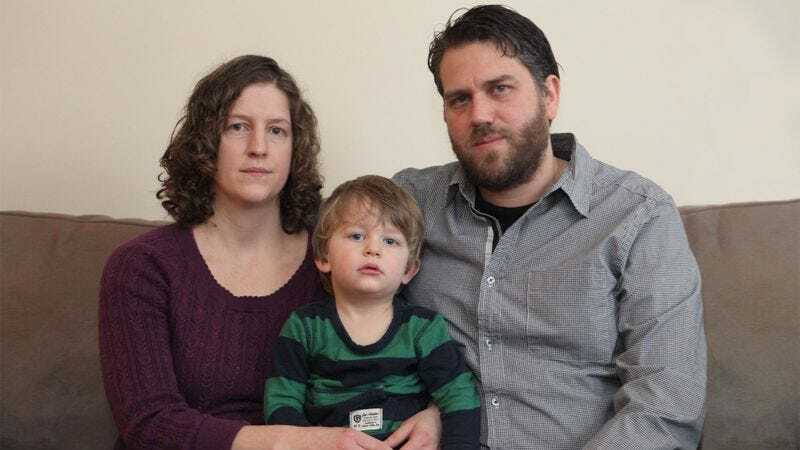 MIAMI—Having long shielded him from discussion and depictions of the traumatic event, local couple Brad and Jeannine Musgrave told reporters Friday that the moment had come to tell their 2-year-old son Connor about the terrorist attacks of September 11, 2001. “Connor’s almost 26 months old now, so we decided it was about time to finally sit him down and explain exactly what happened on 9/11,” said Brad Musgrave, after giving his toddler a detailed, half-hour description of the four hijackings, the collapse of the Twin Towers, and the deaths of nearly 3,000 Americans. “We just couldn’t tiptoe around the subject any longer. At some point he was going to learn that there are evil men in this world who will stop at nothing to kill innocent people, including me, his mother, and him, if they have the chance. And we felt it was best he hear it from us now before it comes up at preschool.” Since child-development experts say Connor’s long-term memory pathways are still forming, the Musgraves plan to repeat their explanation at least once a week for the next four years.